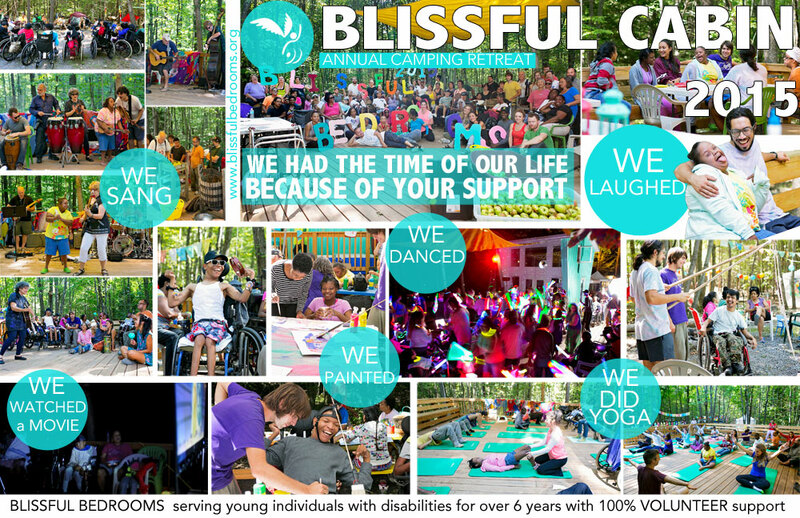 If you have ever doubted that miracles are possible, just take a look at the photos below of our 3rd Annual Family Camping Retreat at the Blissful Cabin!! Three weeks before this camping trip was set to take place for more than 60 excited participants, we had less than $300.00, a sparse volunteer team, and no idea how we were going to pull it off. Passionate outreach to some of our avid supporters, in addition to unwavering optimism and relentless faith, turned out to be the “miracle” recipe to summon the amazing partners in compassion listed below. Their generosity and volunteerism led to pulsating joy and contagious happiness for a whole lot of special people. Thank you to everyone who made contributions, big and small! Because of you, treasured memories and good vibrations were formed that will last a lifetime and beyond! To see a selection of photos, please view our photo album on Facebook at the link below.